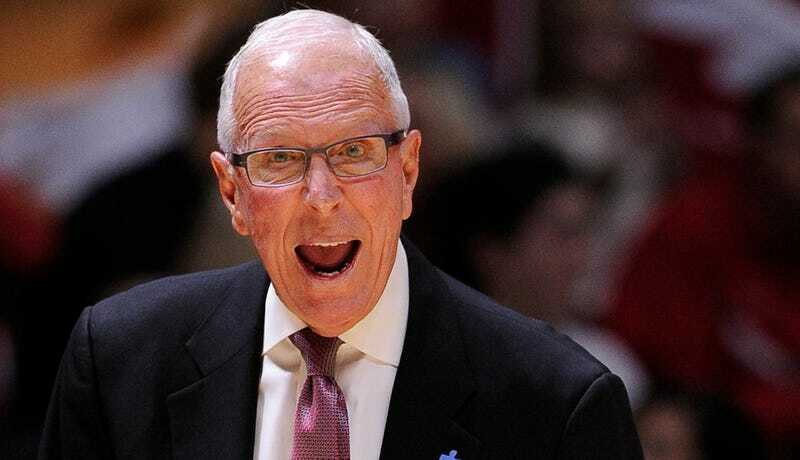 After 571 wins, three Final Four appearances, and a ground-up rebuild of a once-moribund basketball program, Steve Fisher has retired from college basketball. Fisher has been the head coach of the San Diego State Aztecs since 1999, and his longtime lead assistant Brian Dutcher will take over for Fisher next year, per ESPN. Fisher got his first head coaching job at an exceedingly strange time. He’d served as an assistant coach under Bill Frieder at Michigan for seven years, but after Frieder announced that he’d be leaving the Wolverines for Arizona State on the eve of the 1989 NCAA Tournament, then-athletic director and legendary former Wolverines football coach Bo Schembechler effectively fired him on the spot. Fisher took over the program right before the NCAA tournament and led three-seed Michigan to its first ever national championship, upsetting UNC and Illinois along the way. He began his head coaching career with six straight wins and a national championship. Fisher followed up that national title by recruiting the famed “Fab Five” (Chris Webber, Juwan Howard, Jalen Rose, Jimmy King, and Ray Jackson), who immediately made Michigan a powerhouse. The Wolverines reached the Final Four and lost the national title game two years in a row, once because of Webber’s infamous phantom timeout. Fisher led the team to five straight NCAA tournament appearances and an NIT championship, but his time atop the program ended abruptly after he was fired because of the Ed Martin scandal, although he maintains he had nothing to do with Martin paying his players and was largely cleared by the NCAA. Many coaches would fade into obscurity after getting fired in shame for their involvement in a sport-shaking scandal, and Fisher sort of did. He took a year off, then helped Rick Adelman turn the Sacramento Kings around for a year. Two years after getting fired by Michigan, Fisher popped up at San Diego State and accepted what looked like a suicide mission in trying to revive an Aztecs program that had never won a postseason game. The year before Fisher took over, SDSU won fewer games than he did in his first-ever NCAA tournament. It was a Herculean task, and Fisher was up for it. Two years after hiring Fisher, SDSU made the NCAA tournament. After six years of steady improvement, the Aztecs ripped off an 11-season streak of 20 or more wins. They made seven NCAA tournaments under Fisher, won six Mountain West championships, and reached two Sweet sixteens. In 2011, SDSU went 34-3, losing only to Jimmer Fredette-led BYU teams and eventual tournament winner UConn. Fisher helped mold Kawhi Leonard into a defensive terror and he earned 2011 national coach of the year honors. SDSU never won an NCAA tournament or made a Final Four, but Fisher built a prestige program out of nothing and left the Aztecs with a strong on-the-court identity of physical, relentless defense as well as a proven track record of developing mid-major players for the NBA. His overnight national championship and recruiting chops at Michigan were perhaps more consequential, but the turnaround he engineered at SDSU was somehow more impressive.